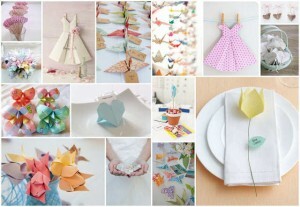 Sneaking in some elements of origami to your wedding is definitely an awesome idea. Origami is unique, lovely, unforgettable very personal. It’s something your friends and family will be talking about because it’s not everyday that one gets to see handmade paper flowers, decorations, invitations and favors on a wedding. There’s something whimsical and very personal about it. Flowers are the first things that come to mind when a wedding is talked about. You’ll be surprised at how paper flowers can be just as equally pretty as the fresh ones. You can make paper flower bouquets, table centerpieces, hanging decorations, boutonnieres and even pretty decorations for the cake. Paper flowers are called kusudama. You can start making your flower decorations or employ someone’s services. But where’s the fun in that? Kusudama can bring you to places you never thought were there – colorful kusudama balls that hang like cabbage chandeliers, bridal kusudama bouquets with hints of glitter and pearls, pretty little kusudama flowerets mingled with fresh leaves on your wedding cake, kusudama flowers set in a lovely glass vase. You will come up with more ideas that are fun once you get those creative juices flowing. Cranes symbolize loyalty, fidelity and honor. Almost always, cranes are present in a Japanese wedding. Cranes are known to mate for life – so they’re perfect for any wedding. For some, they symbolize happiness too. 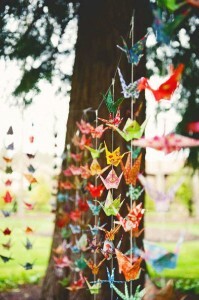 Paper cranes make great decoration for your wedding. 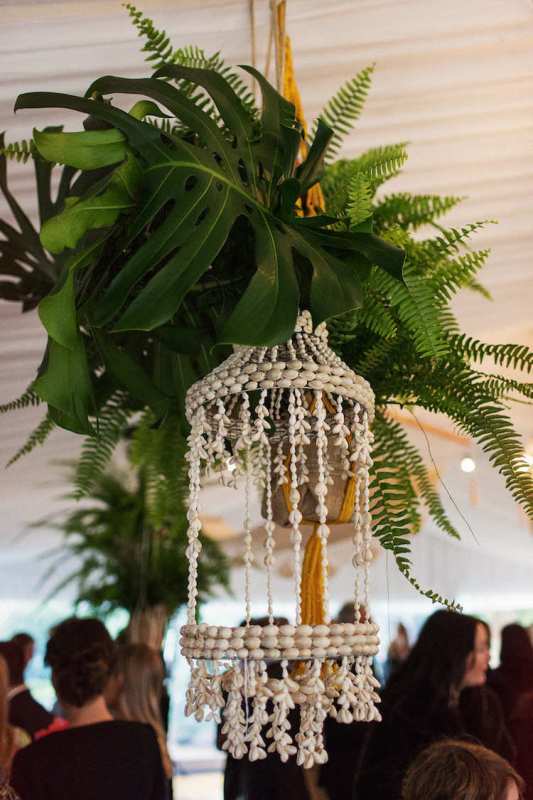 You can let them hang from the ceiling – you can string cranes together in varying lengths of strands and make a crane curtain. This is excellent for a stage set in the altar – or in the backyard or on a tree. The more cranes, the merrier and the prettier. Have fun and experiment with different colors. Paper cranes are great as wedding giveaways too. You can arrange them on a table as a lovely centerpiece. Origami boxes are a fun way to keep wedding giveaways – potpourri flowers, chocolate hearts, candies, fancy looking soap bars, little pretzel sticks, healthy nuts. And what’s more awesome about an origami box is it’s easy to fold. And fun too! Even for the first time paper folder, the box is a cinch to do. 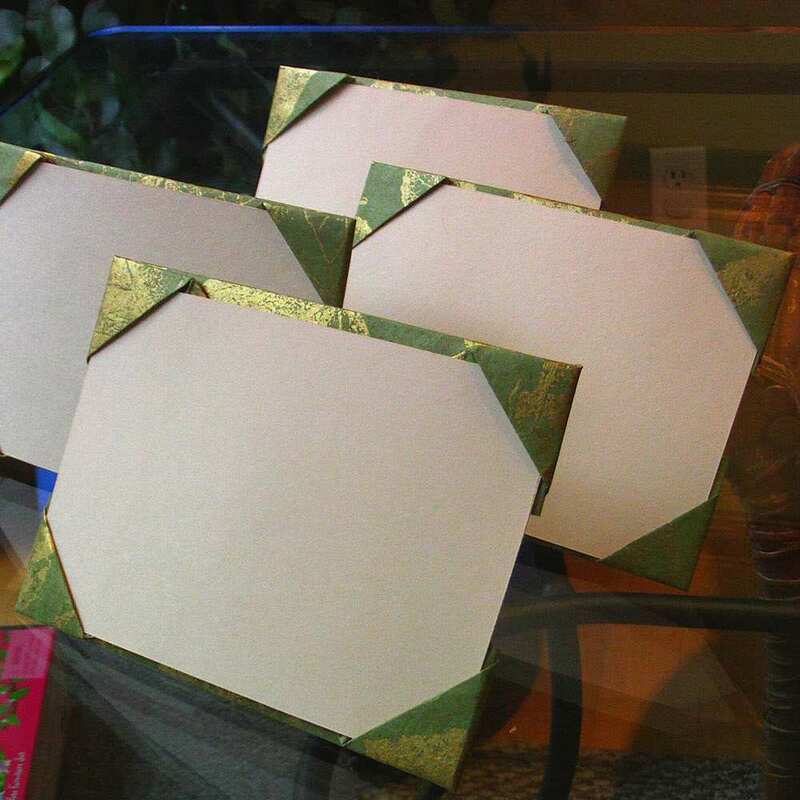 Origami photo frames are a great way to spruce up your wedding venue. And they can also double as wedding favors. Look for many other wonderful origami picture frame designs. Pick out the best and the easy ones. You can highlight you and your partner’s baby pictures, and all your pictures at different stages and milestones of your lives. You can display your photos as table centerpieces – they will make excellent conversation pieces for your guests. 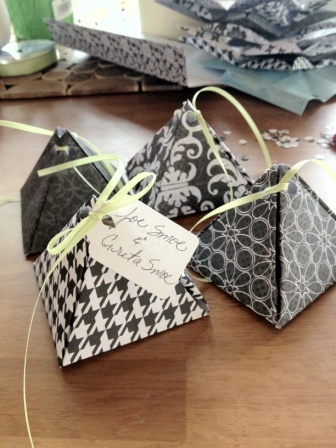 You can personalize your wedding invitations by adding origami items on your invitation. 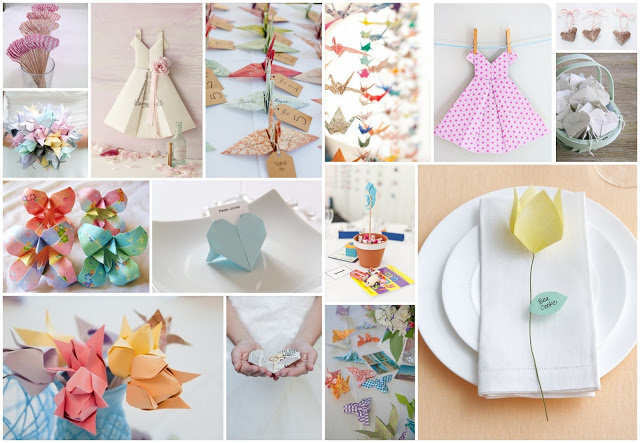 Check out many options – from butterflies to flowers to cranes and even to a bride and groom origami. You can put paper hearts in different colors too. 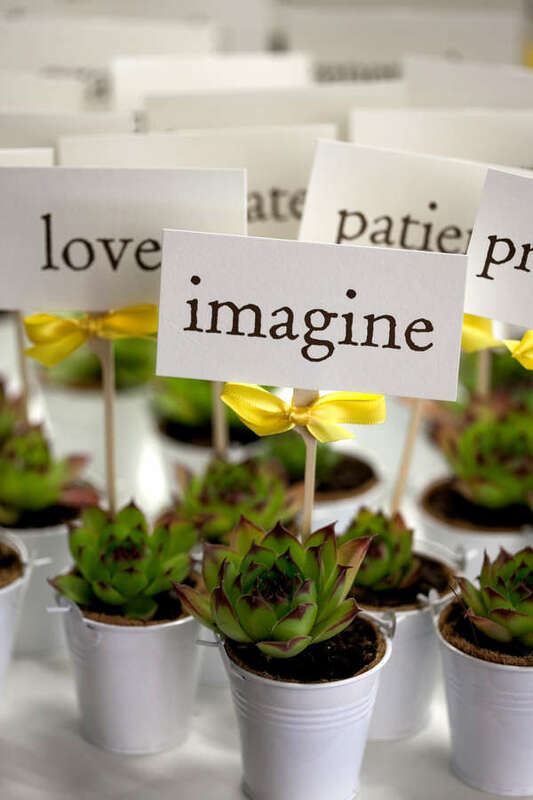 Think of using something different for your wedding decoration? Potted plants are the way to go. Why? Because one, they’re pretty and pleasing to the eyes. Two, they’re unique, they exude a hippie vibe and they’re a fun alternative to pricey flowers, don’t you think so? Three, they’re inexpensive and practical – they can be used as your wedding decoration and at the same time they can be used as your giveaways. Or keep them in your future garden yourself. Can you think of anything cooler than that? And finally of course, four, but definitely not the least – potted plants are earth-friendly and an awesome way to love the earth by reducing the carbon footprint on your wedding day. Way cooler. 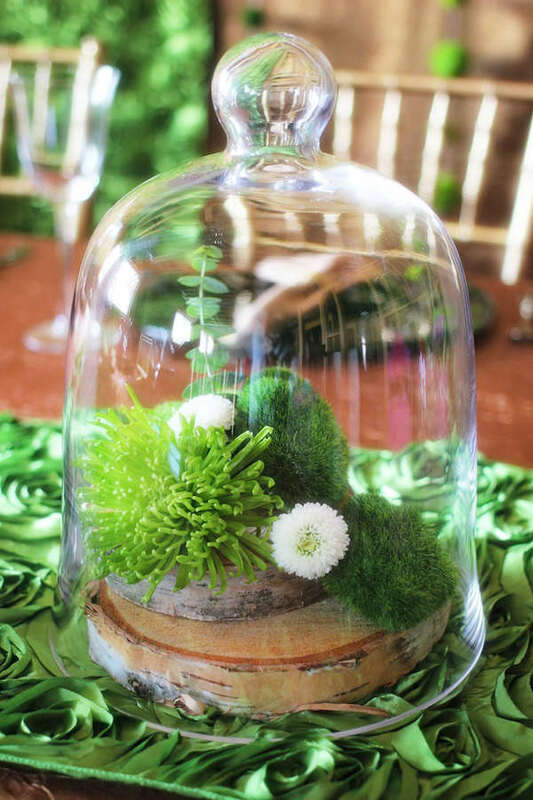 Here are some wonderful ways to sneak in those pretty greens into your big day so you can have a green and earth-loving wedding that people will be raving about long after they have gobbled down that heavenly slice of your green tea wedding cupcake. Hanging plants are great items to spruce up your wedding venue. They make the room look bigger as they draw the eyes up from the floor to the ceiling. There are a lot of pretty plants that can be grown in the pretty colorful hanging pots. Use the many kinds of houseplants with charming bending leaves – like the ivy or the spider plants or fern. The Boston fern and the bird’s nest fern with its wide beautiful leaves are great choices. Hang them by the altar, or hang them and line them up above the aisle. Hang them by the windows. Or if you’re having an outdoor wedding, hang them by the trees. Put your potted plants in fancy containers – like baskets, carved pots, glazed pots, glass jars. Use different kinds of foliage – different colors, different kinds of leaves. 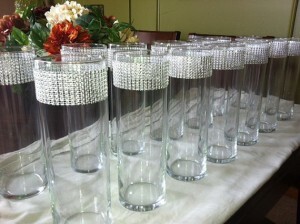 Then put them on different heights of pillars or bouquet stands. This will add a touch of interest and warmness in your wedding. To add warmth and color, throw in some simple mums to your plants. Put in some birch branches and twigs to make it look more romantic. 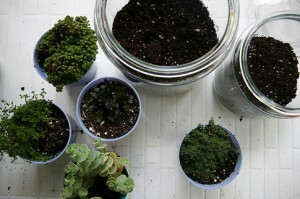 Find cute small pots and put all kinds of cacti or herbs or add some small flowering plants. Put them together in one corner to double as a decoration while waiting to be given away. The cluster of small plants is fun and pretty to look at. 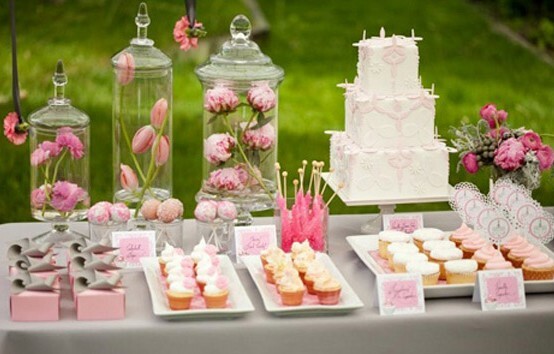 To add a festive touch, use pastel-colored glazed pots that match your wedding color scheme. Or if you just want to maintain the rustic feel – just use the regular clay pots. You can use bonsai trees in different heights and sizes. Everything about the bonsai is beautiful – from the style of the tree to the bonsai pots – its height, its color – the way they are arranged. You can also use potted trees to line the aisle – add ribbons or a string of lights to make it more whimsical and romantic. 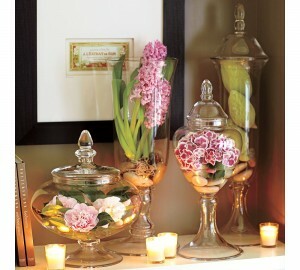 For a time-honored look, arrange about three to five glass jars of different heights and shapes. For a quirky look, fill with colored water, seeds and sand. You can use divergent colors to make your arrangement stand out. 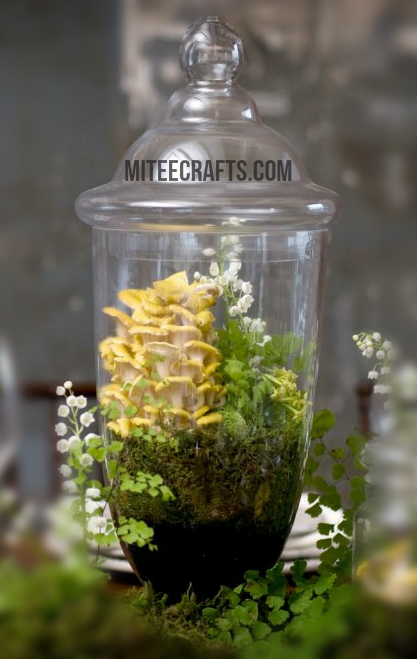 Your apothecary jars can come as a snazzy table piece, fancy decorations and even hanging jars with plants. The possibilities are endless. Can’t wait to get your hands on these pretty jars? If your creative juices are flowing, read on. 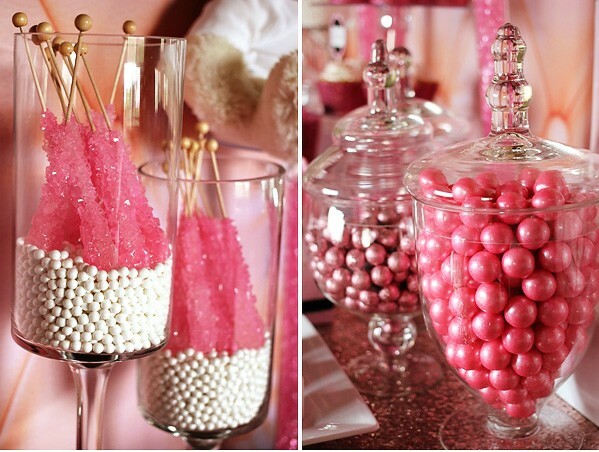 You can use apothecary jars for your candy buffet in your reception. It will have a double purpose – dessert bar and focal point of display. Fill them with different kinds of candies. Or you can fill one jar with one type and one color of candy. You can fill the jars with different kinds of cookies too. And cinnamon sticks and licorice. Tie some pretty colored ribbons. For something with a natural and fresh look – throw in some pretty colorful flowers. 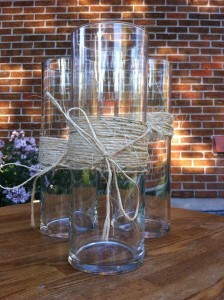 Turn those jars as flower vases. 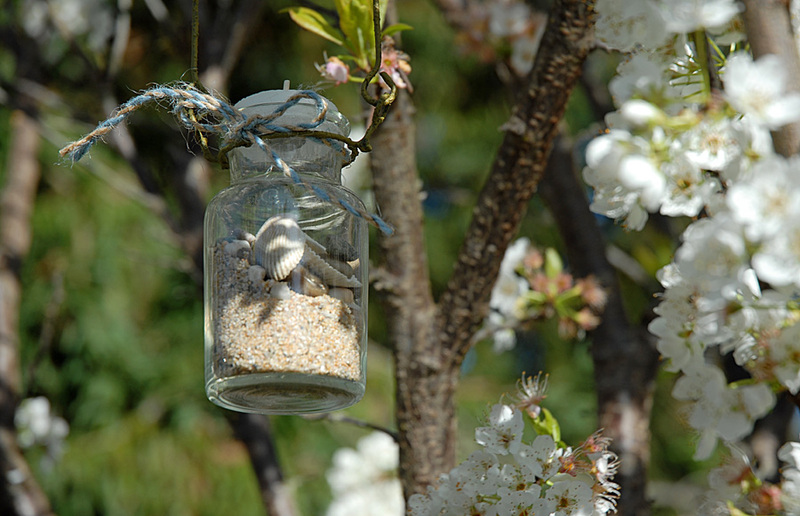 Put some sand and pebbles and make a pretty flower decoration using fresh flowers and twigs. For the earthly look – you can put some moss. Add a sycamore or birch bark. Or make ti a holder of a tiny tree. Use two-toned moss as its base. For the beach look, put some sand and pebbles and pretty hand-picked shells from the shore. Try making a small beach too. For something dramatic and pleasant to the eyes, fill a jar with water and put a sprig of colored orchids and submerge it in water. Or you can put rose petals or dried flowers. 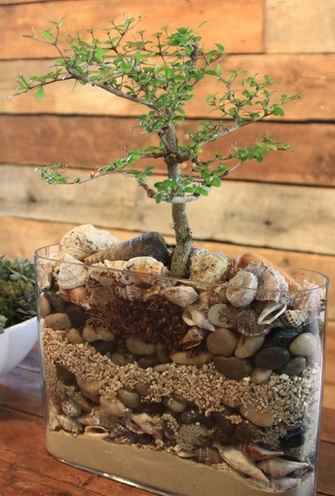 You can also use your lid and then make a smaller version of the arrangement or a beach look or even a terrarium – a smaller version will give the right look and balance. 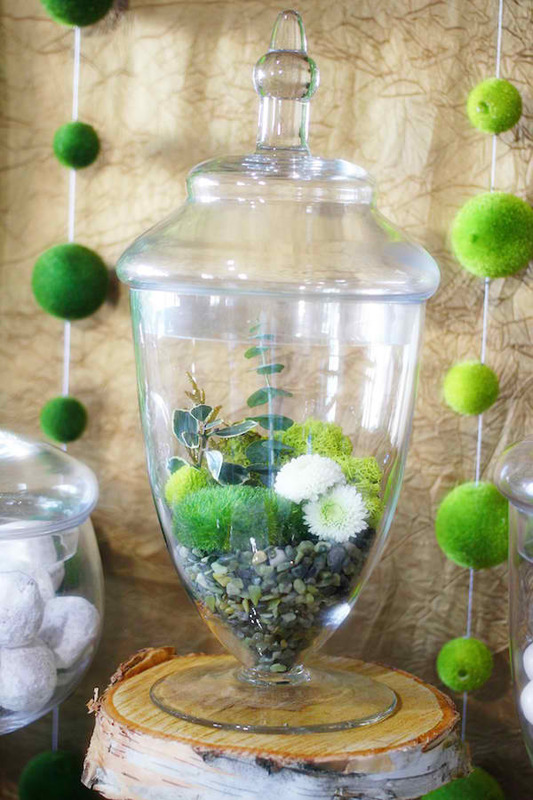 Finally, you can make a small nature environment like a terrarium in your apothecary jar. This is definitely classy, unique and a wonderful wedding decoration to keep for life. Artificial plants and flowers, also known as “silk” or permanent botanicals, have one obvious advantage over live plants–they don’t die. No need to remember to water or fertilize them. They can be placed anywhere without the need for light, and you can go away for a vacation without having to be concerned about them. Unlike the artificial plants and flowers of the past, today’s realistic delicate cloth blooms and foliage appear almost as delicate as the real thing. Artificial floral arrangements will gently sway when carried, unlike the crude plastic flowers available during the last century. Some petals and leaves appear so authentic that touch is the only way to distinguish them from live plants. Artificial flowers are sometimes used in arrangements along with fresh flowers to give the whole arrangement a realistic look. We will discuss the realistic artificial plants and flowers before going on to the fun fakes. If you buy your artificial plants ready-made in either a cut floral arrangement or a potted plant, you will avoid a lot of work, but what fun is that? See a hobby or craft supply store for supplies you can use to make something uniquely your own. Start with an idea of where you want to put your finished project. That will give you an estimate of how large you want your arrangement to be. Consider your color scheme as well. 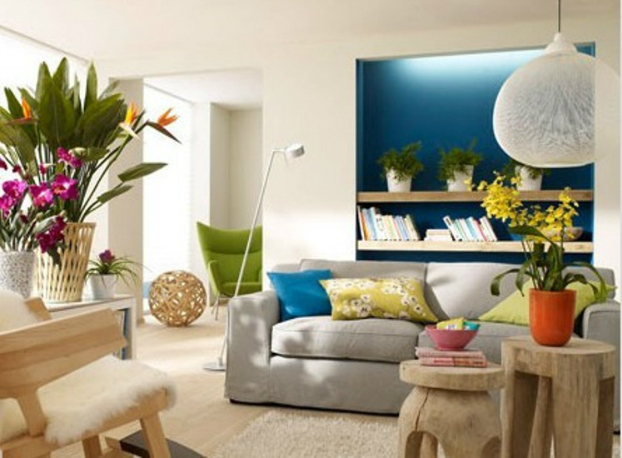 If your basic color scheme is neutral you can go for whatever colors you want in your creation. You can make different arrangements for different seasons and rotate them throughout the year. If your home is full of your favorite colors you can match them in your artificial flowers or contrast them with new colors to make your craft stand out. The type of flowers you will want is another consideration. If you have a favorite flower or plant your choice will be clear. If not, try buying a wide range of shapes, colors, and textures to hold your viewers’ interest. Unlike real plants, permanent botanicals need not be the same kind to share a container. Although mixing cacti with tropicals and evergreens might seem a bit crazy, there is nothing to keep you from “planting” your orchids alongside your tulips or daisies. Once you have your artificial plants and/or flowers you will need a container or containers to hold them. For an outdoor garden look choose terracotta pots. 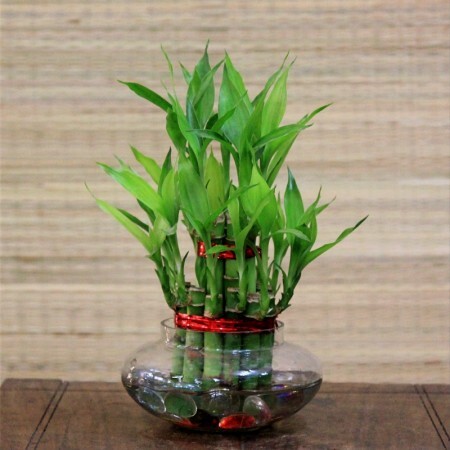 For an exotic look try bamboo vases. Clear glass is always good for a classic look. Smooth wooden and metallic containers provide contrast with your more natural-appearing permanent botanicals. Styrofoam and glue complete your needs. To “plant” an artificial plant in a container, cut your styrofoam to the size and shape of your container. Glue the styrofoam into your container. 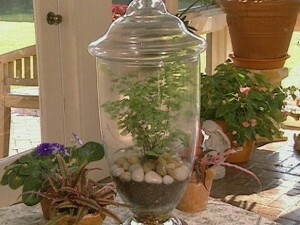 To make your plant appear to be the real thing, insert it vertically as a real plant would grow. 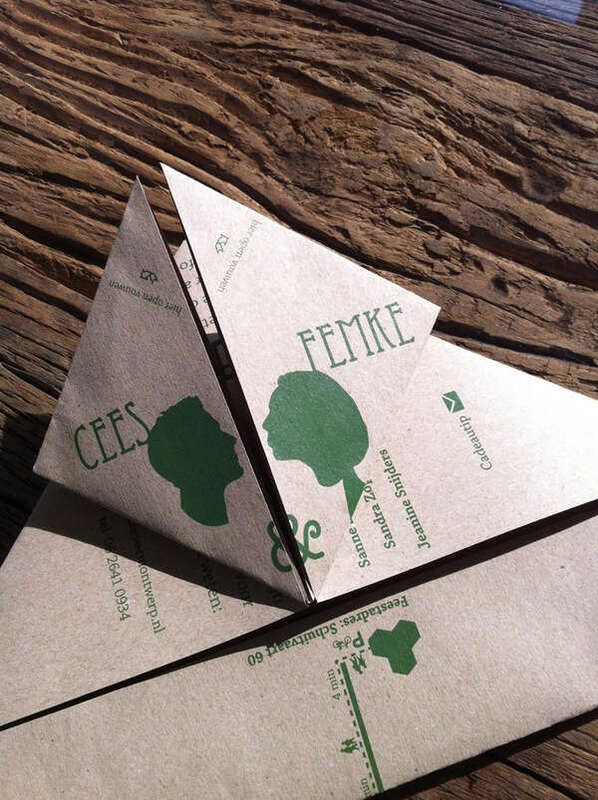 For a whimsical look bend your stem into improbable but artistic shapes. Cover your foam with foliage or moss. When using artificial foliage insert it into your styrofoam all around your plant stem . When using moss you can use u-shaped wires to hold it into place. When “planting” several plants into one container, first decide whether your arrangement will be seen from one side or from all sides. If it will be next to a wall or on a buffet table your design will be one-sided. If the arrangement is meant to stand on a table where it will be viewed from all sides, that must be taken into consideration in your design. 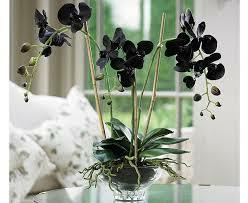 If your arrangement is to be one-sided have your tallest plant or flower at the back of the container for depth. If your project is meant to be seen from all sides place your tallest plant or flower into the center. 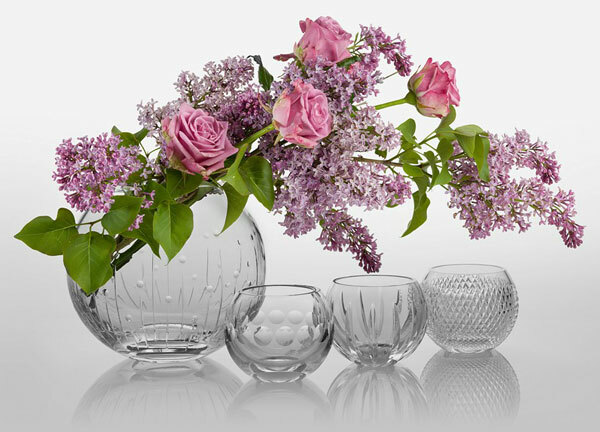 For a modern look keep the arrangement simple. For a more traditional look place more plants or flowers around your tallest element, tapering from the tallest to the shortest thing. Remember to cover all foam with foliage or moss. Add accents like pine cones or artificial birds or butterflies for a natural look. Make Christmas presents using conical styrofoam, precut. Cover your tree with foliage and add small glass orbs. Top it off with an angel or star and your gift is ready to warm someone’s heart. Styrofoam also comes in spheres and wreath shapes. Pave spheres with artificial flowers or foliage and fill a glass container with your decorative orbs. Make a wreath by covering donut-shaped styrofoam with a variety of flowers and foliage. Or buy a wreath made of grapevine and glue on your artificial flowers or plants. If you are using a clear glass container, of course, you will not want to use foam. Simply place enough stems into your container so that they hold each other up in place. If you want a highly realistic look, try pouring clear glue into the bottom of your glass container. When it dries it will resemble water. Just be sure to get a type of glue that dries clear rather than yellow. For the fabulous fun frankly fake look, try paper flowers. Huge daisies and tulips in bright, improbable colors will give your party or your little girl’s room an Alice in Wonderland look. And don’t forget florigami. 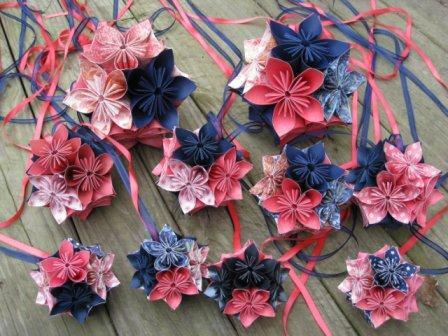 A wide variety of plans for making paper flowers is available, and there is no limit on the colors you can use. Add paper birds and butterflies for an origami garden. Cover conical foam by gluing origami flowers over its entire surface. Place a stick vertically into the bottom. Cut out foam and glue it into a container. Now place the other end of the stick into the foam in your container. Glue in moss to cover your foam. Now you have an origami topiary. The things you can do with artificial plants and flowers are limitless. Let your imagination run wild and remember to have a good time. Enjoy! 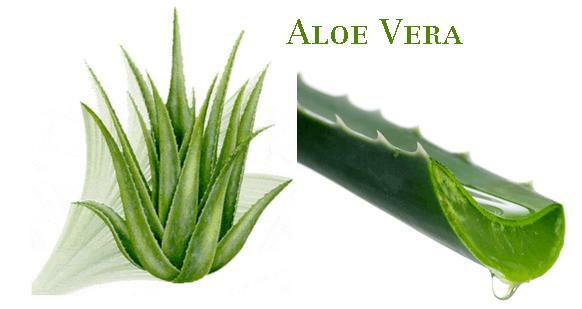 Aloe vera plants are succulents, meaning that they have thick leaves and roots that hold in water. Their long, pointed light green leaves grow in concentric circles. Long vertical branches give rise to tubular reddish-orange flower, with several flowers growing outward horizontally from their central stem. 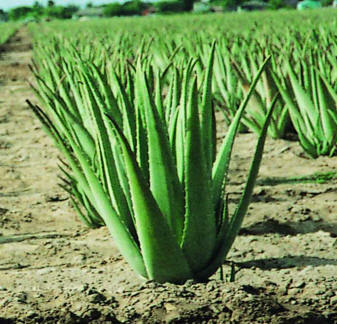 Aloe vera plants grow only in cultivated conditions, although relatives of aloe vera grow in the wild in Africa. The plant has been cultivated at least as early as ancient Egypt, where is was put into the tombs of the pharaohs. Aloe vera is often grown as an ornamental plant in gardens in the southwestern United States, where water conservation is a consideration .Aloe vera plants can be grown outdoors in a mild climate. Due to their succulent nature aloe vera plants do not tolerate frost or temperatures of 32 degrees or cooler. The water in their leaves and roots can freeze and destroy the plant’s cells. If it freezes where you live you can grow aloe vera in pots near a sunny window and take them outside in the summer. To grow aloe vera plants outside you will need moderately rich, well-drained soil in a sunny location. Although aloe vera is drought-resistant, it will do best if watered during the summer when it is growing. Allow the soil to dry completely before rewatering. Aloe vera roots grow near the surface, so small, frequent waterings are better than deep watering. Aloe vera plants can be found in most nurseries, as can a wide variety of other succulents. Esthetically aloe vera plants work well with other succulents and cacti. For variety plant aloe vera near escheveria rosettes, ice plant, jade plant or barrel cactus to make an interesting succulent garden. Sand or gravel and pretty rocks will give your garden a Southwestern theme. You can find interesting rocks at a rock show or garden center, but it is more fun to visit the desert and go rock hounding. There you can pick and choose just what you want to personalize your succulent garden. To raise the plants indoors provide wide pots where the roots can spread horizontally. Terra cotta pots are good because they are porous, allowing excess water to escape. Terra cotta pots also usually have a hole in their bottoms where excess water can run out, and fit in well with the desert theme. Standard potting mixes are available from the same nurseries that sell the plants. Aloe vera plants will thrive near a window where they can get plenty of sunlight. If you don’t have a window with enough sun exposure, a fluorescent lamp will do. Again, water during the summer months and allow the soil to dry between waterings. Arrange several pots of different sizes near your window, and plant aloe vera in one or two, along with some other species of succulents and cacti . Plant the tallest plants into the tallest containers and place the tallest containers nearst the window and the shortest in front so that all plants can be seen. Be sure not to allow the tall plants to overshadow the shorter ones entirely. Remember, they all need some sunlight. Terra cotta pots can be painted, but do not cover the entire container with paint. Leave the majority of the surface bare so that it will stay porous. Paint small shapes or droodles of color that will contrast nicely with your brown pots. Simple paintings of the sun or clouds go well with your desert scene. Southwestern colors such as sand, light green, or peach will look nice, or pick your favorite colors according to your individual taste or room decor. Abstract shapes in bright colors are easy to paint and go well with a modern theme. If you want to be really creative try standing an old Western boot or hat alongside your succulent display. Aloe vera plants produce plantlets, offspring that grow from the sides of the mother plant. Remove the babies from the mother with a knife and replant them into their own pots or corners of your garden. Aloe vera gel is thought by many to have medicinal value, although the research is scant and sometimes contradictory. It has been studied for use in helping to heal wounds and combat dental plaque because of its antimicrobial properties. It is used in hand creams and cosmetics as a soothing emollient and has shown some promise for local treatment of psoriasis, genital warts, frostbite and acne. A study from Ohio State University, reported in March of this year in Veterinary Ophthalmology, found that aloe vera might help to hasten eye wound healing in dogs. Last year the journal Nutrition reported a study on aloe vera and diabetes. Researchers there found a possible use for aloe vera for weight and fat loss in prediabetic individuals and patients newly diagnosed with diabetes. In June of 2013 the journal Metabolic Syndromes and Related Disorders published an article on the subject from Baylor College of Medicine in Texas. Researchers there discovered that aloe vera preparations could possibly prove useful for lowering blood sugar levels in prediabetes some day. Some gardeners swear by aloe vera as a treatment to soothe burns and insect bites. For external use cut the leaf at the bottom and collect the gel. Apply to the affected skin. Aloe vera is used in making certain commercial desserts when a gel is needed. It is used to make pectin, used in jams and preserves instead of gelatin. There are also recipes for preparing aloe vera at home. Some cooks put diced aloe vera leaves into smoothies along with their favorite fruits and vegetables. Vegetarian Times suggests making a pineapple-aloe cocktail with ½ cup pineapple juice, ¼ to ½ cup aloe vera juice, 2 tablespoons unsweetened cranberry juice, 1 tablespoon agave nectar or honey, and a lime wedge for garnish. The drink contains 114 calories per serving. Aloe vera plants can make an attractive and easy-to-grow addition to your garden or indoor plant collection. There is some possibility that the plants could have health benefits as well, and should be used with caution upon the advice of a physician. Enjoy. Tillandsia, or air plants, are members of the bromeliad family. Over 500 different species of tillandsia have their own unique appearance, so the idea of decorating a small space with a flowering plant offers lots of options. Tillandsias are native to Latin America and the southern United States, and many of them have a tropical appearance. So-called Spanish moss is actually tillandsia, and can give a wonderfully Caribbean or Spanish Main look to your patio. Tillandsia flowers are also good for color accents. Tillandsia aeranthos flowers are composed of blue petals and red petals. Tillandsia intermedia blooms in a deep pinkish purple shade. Various varieties of Tillandsia ionanthas bloom red,orange, white, or peach. The leaves of the red-blooming varieties “blush” or turn red before the flowers bloom, similar to other kinds of bromeliads. The Mexican variety of ionanthus has central blue flowers surrounded by blushing leaves. Tillandsia incarnata has red spikes with pink petals. Tillandsia fasciculata has long orange flowers fading into yellow and chartreuse. Some tillandsias are grown for their fragrance as well as their visual beauty. One of the easiest to grow is Tillandsia Mallemontii, a native of the Brazilian rain forest. It usually produces fragrant blue to purple blooms, although one rare variety has white flowers. Tillandsia ixioides is another easy to grow species. It produces bright yellow, highly fragrant blossoms.Tillandsia crocata and Tillandsia caliginosa are also known for their fragrant yellow blooms. The king of fragrant tillandsias is probably Tillandsia duratii, with purple flowers whose fragrance will fill a lare room. Their scent has been compared to grape-flavored soft drinks or lollipops. Nor are the blooms the only attractive thing about tillandsia. Their foliage, although usually a light green, can sometimes have unusual white stripes, as in some varieties of Tillandsia ionantha. Leaves are typically pointy, but show variations in their growth patterns. Some species have straight spikes growing out from the plants’ centers, while others can take on a mysterious flowing appearance, almost like something you would expect to see under the ocean. Still others grow in conical or spiral shapes. Sizes vary as well, giving the creative gardener an opportunity to plant tiny tillandsias alongside plants several inches tall for variation and texture. Tillandsia plants and seeds can be obtained from specialty florists, nurseries, and bromeliad societies. Californians can buy tillandsias at Bird Rock International in Carlsbad, Marilynn’s Gardens in Santa Ana, Rare Exotics in Los Angeles, Rainforest Flora in Torrance, and Dutch Vandervort Exotic Plants in Ventura. Florida has a wealth of exotic nurseries to choose from: Color Zone Tropicals, Inc. in Winter Garden, Michael’s Bromeliads in Venice, Tropiflora and Level 21 in Sarasota, Russel’s Bromeliads and Blossom World Bromeliads in Sanford, Bullis Bromeliads in Princeton, Country Garden Nursery and Lee Moore in Miami, Twin Creeks Tropical Gardens in Malabar, Bromeliad Express in Lutz, Bromeliad Specialties Inc. in Homestead, Sunshine Ranches in Fort Lauderdale, McCrory’s Sunny Hill Nursery in Eustis, Air Plant City in Cape Canaveral, and Deroose Plants, Inc., in Apopka. Hawaiians can buy their tillandsias at Bromeliads Hawaii, LLC in Hilo, Hanalei Nursery in Makawao, or Dina’ Garden in Wahiawa. Arthur Boe Distributor is available in New Orleans, Louisiana. The Cactus Plantation in Edwards and D & M Enterprises in Bogue Chitto sell tillandsias in Mississippi. To find tillandsias in Oregon see Treeborne Gardens in Brookings or Oscar E. Allen in Salem. In Texas see Teas Nursery Company Inc. in Bellaire or Magic Mushroom in Dallas. If you live in Washington State, the place to go is for tillandsias is Quail Creek Pottery and Plants in Olympia. Australians have a wide variety of options when it comes to buying tillandsias. Cradle Nurseries in New South Wales sells their plants by post.The Bromeliad Man, Bromeliad Garden Nursery, Pine Grove Bromeliads, and Bromeliad Garden Nursery in New South Wales sell the plants in person. Other Australian sources include: Brisbane Bromeliad Center, Bromania, Bromagic Bromeliad Nursery, Bromeliad Garden, Dragonwood Gardens Symdoc Pty Ltd, and Wildfire Garden Bromeliad Nursery, in Queensland, and Raemaur Plant Farm in Victoria. Bromeliads Online Ltd. is available in New Zealand. Or buy tillandsias in person at Anwyl Bromeliads in Wellington. Epiphytophile is the place for tillandsias as well as other exotic plants in Singapore. In Thailand see Karina Airplants or SSairplants Garden in Khon Kaen. In the United Kingdom, Croston Cactus in Lancashire sells bromeliads as well. The Netherlands has two nurseries for tillandsia lovers, Corn Bak. B.V. in Assendelft and Bunnik Veresea’s in Kudelstaart. South Africa’s Glenn Brealey, Valhalla Bromeliads is available in Capetown. Bromeliad societies, including tillandsia enthusiasts, abound throughout the world and are good places to learn about and enjoy these fascinating plants. The Bromeliad Society International has member organizations in Australia, Germany, New Zealand, California, Florida, Louisiana, Texas, Michigan, and Hawaii. The Hawaiian Bromeliad Society meets once a month on the last Saturday either at the Lyon Arboretum or on a field trip. Speakers or topics of discussion are usually scheduled. If you are lucky to live in the Houston area, you might want to attend the June picnic of the Houston Bromeliad Society, which will feature a garden tour and ABC’s of growing the family. The Florida Council of Bromeliad Societies’ Quarterly Meeting will be held on the 12th, of July this year, hosted by the Florida East Coast Bromeliad Society. On the 26th and 27th of July this year the Sacramento Bromeliad and Carnivorous Plant Society in California will hold its 44th Annual Show and Sale.The event will be held at the Shepard Garden and Arts Center from 10:00 am to 4:00 pm. In August from the 16th to the 17th, the Seminole Bromeliad and Tropical Plant Society Sale will take place at the Garden Club of Sanford, Florida. On 11 October of this year the Florida Council of Bromeliad Societies will be having another quarterly meeting, hosted by the Florida West Coast Bromeliad Society. The Southeast Michigan Bromeliad Society holds monthly meetings for enthusiasts to exchange information, plants, and seeds. Meetings are held in homes, nurseries, and the Mattaei Botanical Gardens. 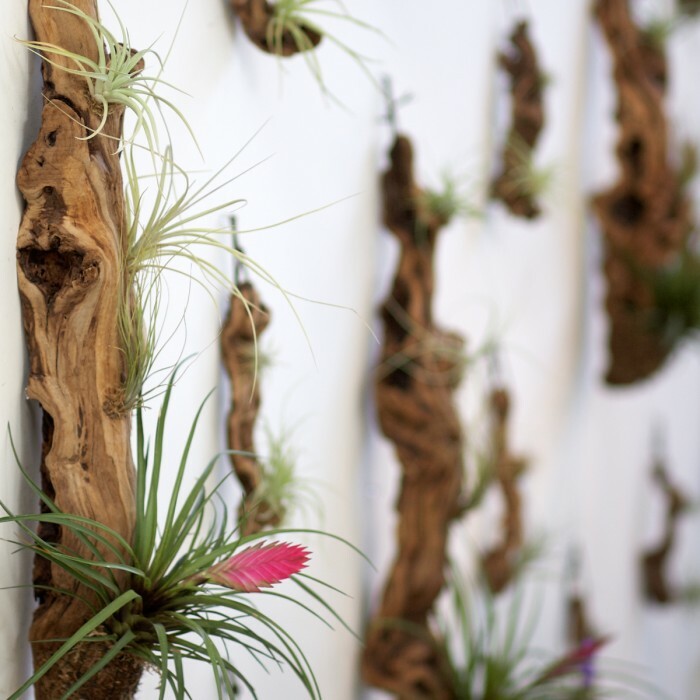 For information on how to grow tillandsia, please see the article entitled Airplants. Good luck and happy growing. Legend has it that ascetic Japanese scholars used to keep bonsai trees in their little rooms to be able to take breaks from their studies gazing at the tiny trees. Perhaps they imagined themselves hiking in the mountains breathing fresh air and inhaling the odor of fresh pine for a few moments away from their manuscripts. Have you ever considered a bonsai tree on your desk to help you steal a few moments for a miniature vacation out in the country? Or perhaps a little tree would just make a lovely ornament on your coffee table. Either way, it would be a unique addition to the room. Unlike plastic ornaments, no two natural products are ever identical (even twins). 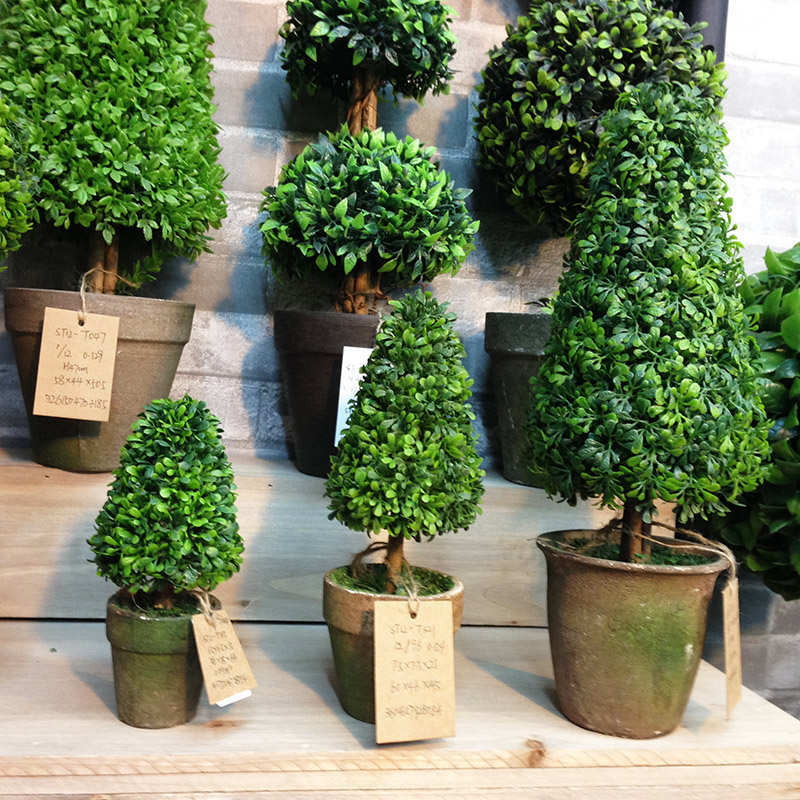 Unlike your typical houseplant, bonsai trees are carefully tended to give the appearance of mature, but tiny trees. When you take on a bonsai tree you take on a whole new hobby, because the art of bonsai extends much further than merely watering the plant at regular intervals. The original material for your tree can be taken from a full grown tree that already has the woody look of maturity. Small trees suitable for bonsai can sometimes be found in nature, although they are rare. For a beginner the simplest way to obtain your new bonsai tree is probably from a commercial outlet, which can easily be found online. The variety of species available is too wide for the scope of this article, but some of the most beautiful and aromatic include pine, cedar, yew, cypress, and juniper. The best soil type to use, amount of optimal sunlight, and watering schedule will depend upon your species of bonsai tree. A good retailer will be able to advise you on basic care. The art of bonsai includes not only miniaturization but shaping the tree into interesting configurations.There are basic traditional bonsai shapes, which need not hinder your artistic spirit unless you intend to enter your bonsai tree into a formal show, and are only listed here as general suggestions. The upright bonsai tree resembles a symmetrical umbrella, pointed at the top and evenly swelling downward. Pines lend themselves nicely to this shape. A variant of the upright is the informal upright, in which the trunk is allowed to take a detour and curve on the way up. The slanted style produces a beautiful windswept look. Junipers and cypress are especially beautiful in this shape.The cascade style is similar to the slanted, but the top of the tree is allowed to exceed the edges of the container, much as a tree might grow over a waterfall or mountain precipice. Most species are good for this style, with the exception of pines. Look at your own tree and imagine its unique possibilities and how you would like it to appear in its new home. A bewildering array of tools exists for the master bonsai artist, but for the beginner, start out with a pair of shears, some aluminum or copper wire, and of course a pair of wire cutters. The container that holds a bonsai tree is a tray called a bon, which is usually black to avoid distracting the eye from the tree. During the life of the tree you will need to transplant it to larger bons as it slowly grows. Pruning is important to creating and maintaining bonsai trees, because tree growth naturally takes place mostly at the top and branches, where you don’t want it. Examine your tree at its own level and decide which branches to remove. If you are going for the windswept or cascade look, decide which direction the tree should lean and remove branches from the opposite side. If you prefer the umbrella look, shape symmetrically. For a balanced look, remove large branches from the top. Use your shears to cut deciduous plants such as flowering fruit trees or azaleas. For conifers use your fingers to pinch branches, because shears will cause brown areas to develop. The best times for cutting are usually in the late fall or early spring before the growing season, but consult a more detailed manual for the best time for your bonsai tree’s species. After cutting large branches you can apply wound paste, available from your dealer, to help prevent infection and speed healing.Up to a third of the branches can be removed for styling when the tree is not growing. Minor pruning can be done to keep your bonsai tree’s basic shape and size throughout the summer growing season. Removing leaves of deciduous plants during the summer will force the plant to grow smaller leaves, helping to miniaturize its appearance. Once you have only the limbs you want for your basic shape, the next step is to use weight to train limbs to grow more nearly horizontal. This is usually accomplished by wrapping aluminum or copper wires around them. Bonsai supply stores sell both kinds in the diameter and weight you will need. Gently wrap the wire around any branch you would like to see grow outward rather than upward. This can be applied to the trunk or the limbs, but be careful not to snap it or any of the limbs off. One esthetic technique is to choose two limbs close to each other, on slightly different levels, on either side of the trunk. Begin wrapping your wires around the outer edge of one limb, and continue wrapping around the trunk just in the area between the two limbs.Continue wrapping around the second limb. This will train the tree to grow in a more or less even horizontal line from one limb to the other, through the trunk. If something does accidentally snap off, do not despair. Step back and redesign another interesting shape. The art of bonsai trees requires even more patience than most gardening, but in the end the results can be quite beautiful. To learn more, find material at your library or attend a bonsai show. The artists there are usually more than happy to find someone interested in their work. And if bonsai turns out not to be the craft for you, all is not lost. Your little tree can grace your yard as a big tree. About a year after a major pruning job, it will be time to prune your bonsai tree’s roots. This will serve to keep the tree small and help keep it from becoming root bound. Water your tree the night before you prune. Lift your little tree gently and shear away the lowest third of the main root. Cut the side roots to give the root ball a round, compact shape. Do not cut off the fine hairs on the roots. They are important for absorbing water and nutrients. 1. First, you will need an apothecary jar. The size and shape that you use are entirely your discretion. You can also opt to use any glass containers that you have lying around at home, or you can purchase new ones at the store. 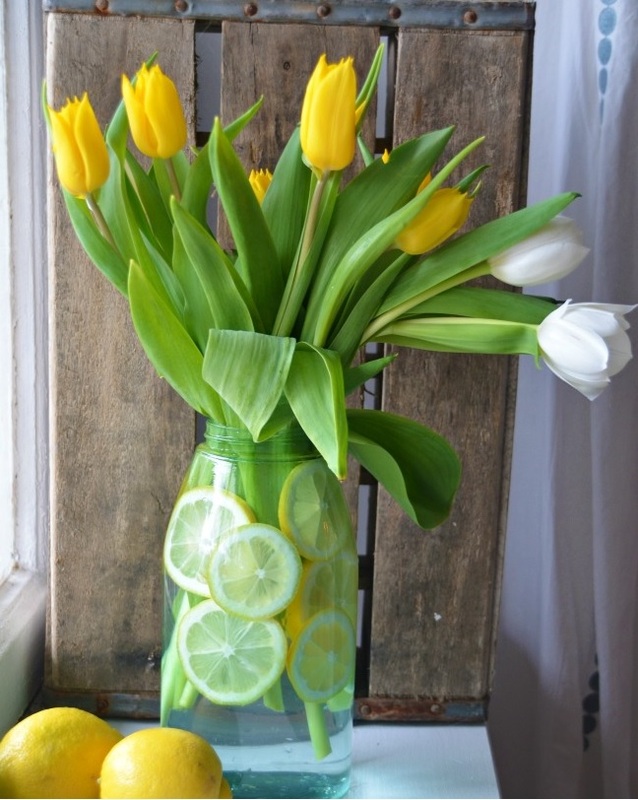 Apart from apothecary jars and glass food containers, you can also use vases, mason jars, and lidded containers. 2. The next step is to create a solid foundation or base consisting of small stones. You can also experiment with sea glass if you prefer your apothecary jar terrarium to have a unique look or feature. Both sea glass and small stones can be collected in their natural environment or purchased at a store such as Walmart or Target. Layer the bottom of the apothecary jar with at least one inch of small stones or sea glass. 3. Since the apothecary jar is lidded, you will need activated carbon or activated charcoal to keep the formation of mildew at bay. Another tip to keep in mind to prevent mildew growth is to keep the leaves inside from touching the glass of the apothecary jar. Activated carbon can be purchased at pet stores. Distribute the charcoal across or between the small stones/sea glass. 4. Next, put in a mix of grasses , plants and mosses along with healthy soil. Some additional items that you can put into the apothecary jar terrarium for decorative or aesthetic purposes are: petrified wood, shells, small glass bottles, figurines, and any other item that suits your taste that won’t interfere with the development of the plants, grasses, and soil. Now is the time to hone those creative juices and have fun while you are at it. Don’t forget to water/spray your terrarium each day!